Rarely do I ever write about the stocks that I buy; however, I couldn’t pass up a great case study for how effective long term investing can be if you just stick to it. When I first started investing, I followed in the footsteps of Benjamin Graham, Warren Buffet and Peter Lynch: Look for companies that were undervalued and only buy companies where you know what they do. I added a few of my own rules, such as requiring the company to pay a dividend and that the company had to be profitable. I wanted more risk than buying GICs, but I certainly did not want to be a speculator. Having followed the technology industry for most of my life, it was a no brainer that I looked to Microsoft as one of the companies that I might buy. Microsoft had created the Windows operating system and it was something that I had used on all my personal computers. By the time I bought, Microsoft had held the personal computer crown for decades, but Apple was the big up and comer. Had I invested in Apple 10 years ago, I would have made significantly more, twenty times more, but it didn’t fall into my criteria for investing. Apple’s balance sheet didn’t have the strength of Microsoft’s, nor did the company pay a dividend 8 years ago. Microsoft traded at a much lower P/E ratio than Apple and to me it seemed like the much more conservative play. I wanted more risk, but I didn’t want to gamble. What followed after was a long gruelling climb. Other stocks such as Apple took off, but I didn’t chase. I wasn’t looking for the big home run so that I could retire by 25. I wanted to invest for the long run and I wanted a stock that could be my investment portfolio’s anchor. Microsoft met most of those criteria by being a large player in the S&P index and paying a hefty 3% dividend annually. The bonus I got out of the dividend was that I was collecting American dollars. This was an added bonus, especially with the weak Canadian dollar. During the first few years of holding Microsoft, I learned more about investing. What it meant to have a balanced portfolio, what it meant to continue compounding my growth, and how to dollar cost average. These were all important strategies for me because I applied them on my own investment portfolio. On the inevitable day when the markets in North America crashed in 2008, I did not waver. It was disheartening to see a large portion of my investment evaporate within a mere days, but the key was to stay vigilant. I could have panicked and sold like a lot of other individuals who have no doubt shunned the stock market for life, but I understood the the underpinnings of the economy had to continue. Everyone could lose their jobs, and Microsoft, being one of the largest employers in the world wouldn’t fail. Not with a large war chest of money that the company had saved up over the many years it had profited. What I did was contrary to most investors. I bought more. Not only did I buy more, but I tripled my holdings from the original amount that I had. Buy low and sell high, right? When emotions run high, it often trumps logic, but I didn’t follow the herd and sell. Microsoft was still a very well oiled machine. Having the stock drop by almost 40% meant that it was a bigger bargain than before. In hindsight, buying more was probably the best thing I had done. 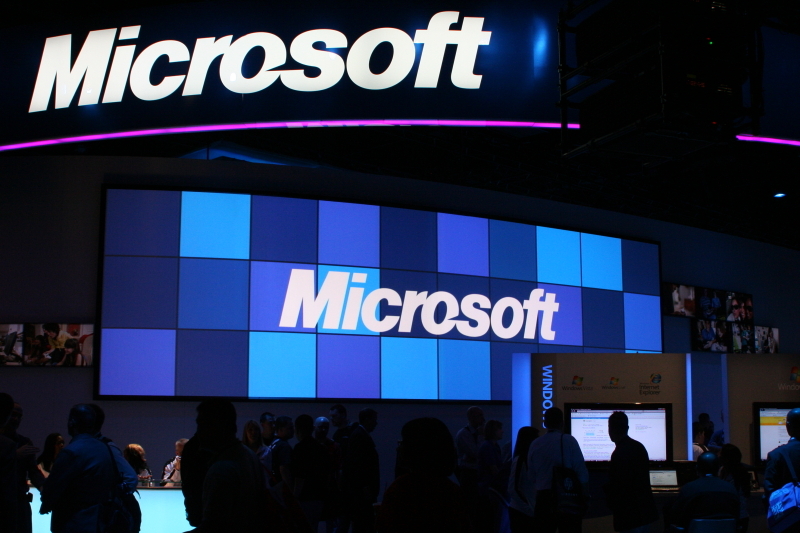 Despite the fall in share price, Microsoft continued to give shareholders their dividend. This was added confidence for me because it meant that the company was still profitable and sharing those profits back to their shareholders. Seeing the company buy back their own shares was also a sign that the company felt its own shares were under valued. I certainly like discounts, and apparently so did the company. What followed in the coming years after tripling my holdings was probably only going to happen once in my lifetime. A relentless stock market bull run of over 8 years has now propelled Microsoft from its days of under $20 a share to well over $45. Many would argue that there were much better stocks to buy during this 6 year period, but I picked a stock with relatively little risk. I never lost one second of sleep thinking that my shares would be zero the next day. I had faith in the company and I also had faith in the employees that worked in the company. I could have averaged a much higher return had I invested elsewhere, but getting an average return of 9% per year over an 8 year period is nothing to be ashamed about. I never would have gotten that kind of return had I invested my money into GICs. Would I do this all again now? Probably not. After reading much about ETFs and strategies on passive investing, I found that it was much easier to manage a portfolio of funds rather than individual stocks and also provide the diversity that I wanted. Websites like Canadian Couch Potato taught me a lot about how to build a successful passive portfolio. Investing in individual stocks can be very rewarding, but it can also have the opposite effect. Not every stock you pick will be a winner, and I’ve certainly had my bad picks. What I did learn from all of this, is that the strategies that I have learned were very valuable and applicable to my own investing. The second thing is to stay positive. In the long run, everything looks up. Not just investments, but life in general.